Michael Stausberg is Professor of Religion at the University of Bergen and a member of the Norwegian Academy of Science and Letters. His books in English include Religion and Tourism: Crossroads, Destinations, and Encounters (2011), Zarathustra and Zoroastrianism (2008), and as editor or co-editor Defining Magic (2013), The Routledge Handbook of Research Methods in the Study of Religions (2011), Contemporary Theories of Religion (2009) and Theorizing Rituals (2 vols., 2006/2007). 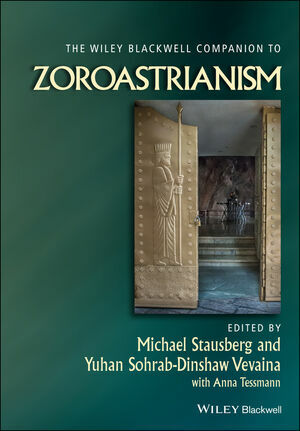 Dr. Stausberg has published widely on Zarathustra and Zoroastrianism in German; he is co-editor, with Steven Engler, of the journal Religion. Yuhan Sohrab-Dinshaw Vevaina is a Lecturer in Religious Studies at Stanford University. After completing his Ph.D. in 2007 at Harvard University, he served as Postdoctoral Fellow in the Undergraduate Core Curriculum and as the Lecturer on Old Iranian in the Department of Near Eastern Languages and Civilizations. Dr. Vevaina is the author of several articles in peer-reviewed journals and edited volumes and in 2010 he received a fellowship from the National Endowment for the Humanities, U.S.A. He is currently working on a book project on Zoroastrian hermeneutics in Late Antiquity.